In this distracted globe. Remember thee!" If you guessed Hamlet, you guessed correctly. In these lines, while "globe" means "head," it's a play on words: it also refers to Shakespeare's famous theater, the Globe, constructed in 1599. Though the one you'll find in Bankside was constructed in 1997. Unfortunately, the original burnt down in 1613, due to a cannon that set fire to the thatched roof during a performance of Henry VIII. It was rebuilt, but again, it didn't last long: it was torn down in 1644, during the English Civil War, by the Puritans who believed theater was the art of the devil. The outside of Shakespeare's Globe. The roof is open, but it doesn't matter: rain or shine, the show must go on! But the fact that this is the third Globe doesn't make it any less awesome. It's constructed to look identical to the original (admittedly, much of it is guesswork), so the overall effect is a gorgeous outdoor Elizabethan theater that continues to put on spectacular--and I mean spectacular--shows for a very affordable price. The stage! This is the set for A Midsummer Night's Dream. Before you jump into a show, however, I recommend taking the tour. 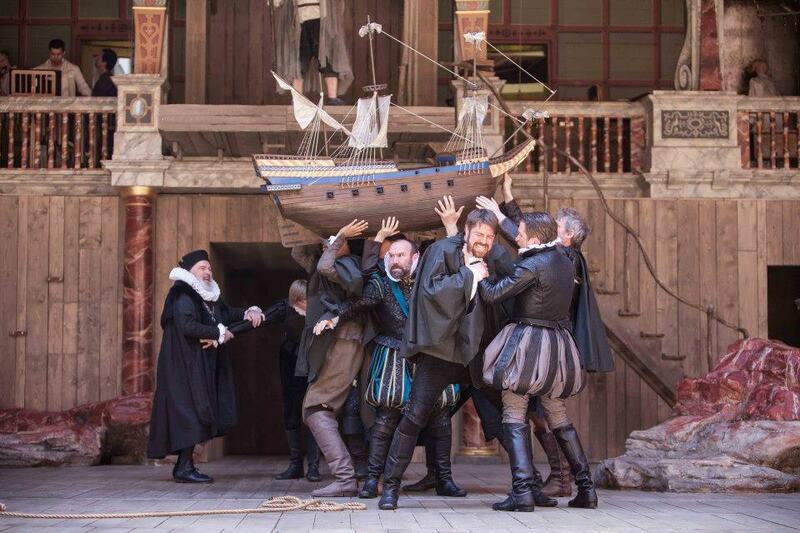 The guides are all actors at the Globe, so you know you're in for a show. They're entertaining, of course, but they're also extremely knowledgeable about Shakespeare and the history of the Globe. For fifteen pounds, you can sit. For five, you can stand in the yard. I was lucky enough to see The Tempest, starring Colin Morgan (Merlin) and Roger Allam (V for Vendetta, Les Miserables 25th Anniversary Concert). 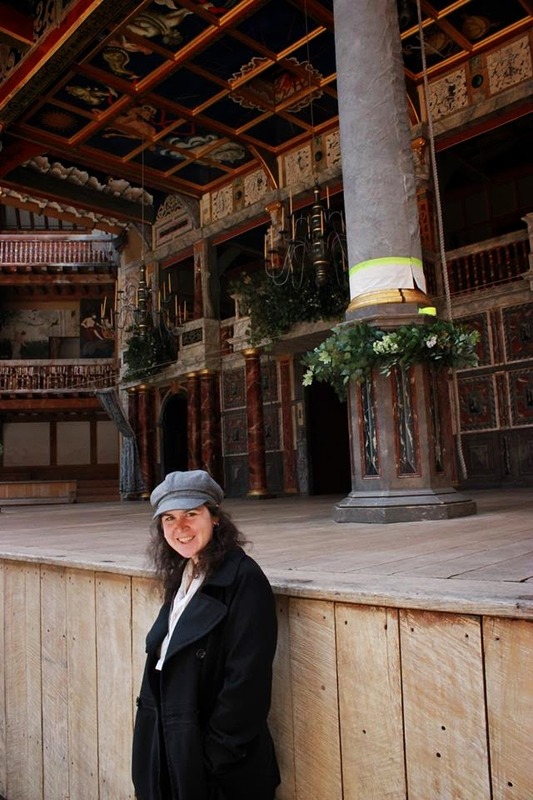 For five pounds, I got to stand in the yard as a "penny groundling." Sure, I had to stand the whole time, and occasionally I got rained on, but that didn't matter. The view was great. I was right up against the stage, and since it is Elizabethan theater, there was no shortage of actor-audience interaction. As in, the person next to me got water dumped on his head. The opening scene of The Tempest. That boat came through the audience. Check out their costumes! And did I mention that the show was phenomenal? As I said, the Globe puts on spectacular plays, and it always has several to choose from. This season, I picked from The Tempest, A Midsummer Night's Dream, MacBeth, and so many others, not all of them Shakespeare and not all of them performed in English. 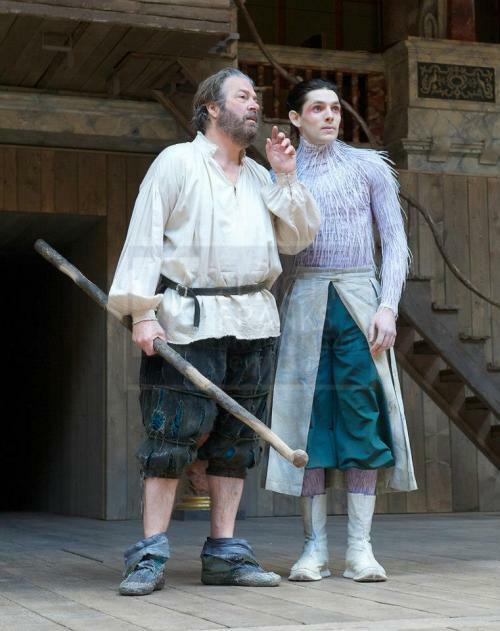 Prospero (Roger Allam) and Ariel (Colin Morgan) in The Tempest. Even if you aren't Shakespeare's biggest fan, seeing a show here is all kinds of worth it. To go to a true Elizabethan theater is a unique experience. Highly recommend! Miranda (Jessie Buckley), Prospero (Roger Allam) and Ferdinand (Joshua James) in The Tempest. I'm just cruisin' by to say hello from the 2013 Post A-Z Road Trip.